I was trying to explain to my husband the concept of bringing the comfort from the inside of the house to your outdoor space, he wanted to know if I planned on moving the couch as well. I think he is starting to get the concept. I have been ooing over the large outdoor area rugs, giant colorful umbrellas and beautiful sets of outdoor furniture. Besides the great color and style, these fancy pieces can also add some flare to your checking account. So here are a few cost conscious ways and a couple of finds to add a little pizzazz to the plaza. Go bold with color, mix and match patterns and designs. 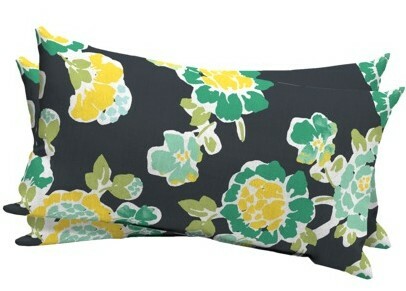 Outdoor pillows add some comfort for your back and are pleasant to the eye. 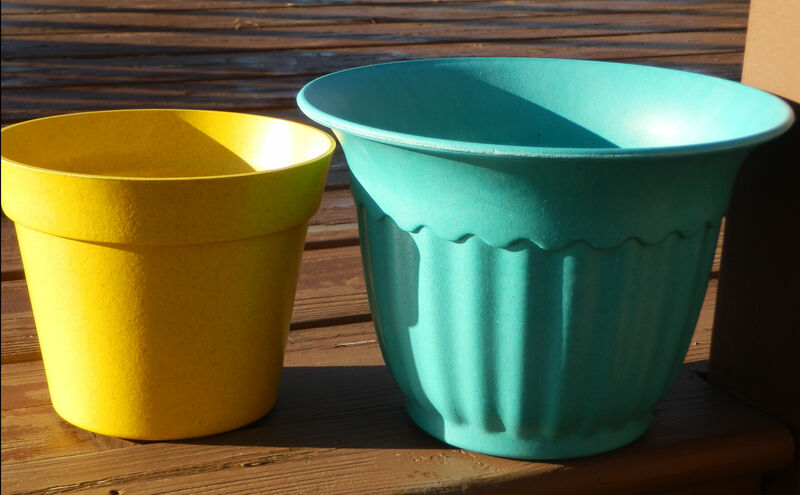 My Goodwill find, a couple of bright pots to spark up the neutral colors on our deck. By neutral I mean all brown. 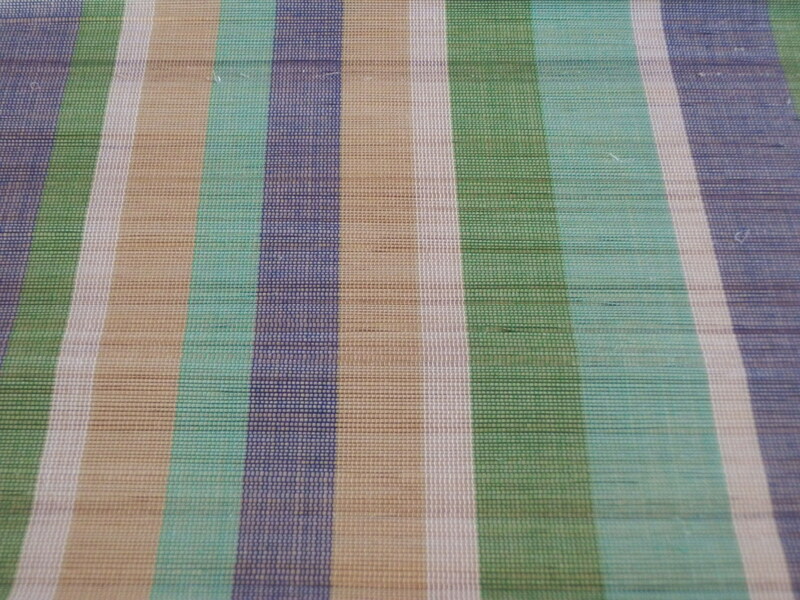 A table runner, smaller (much smaller) version of one of those envious area rugs. I like to think it has the same effect, just not underfoot and scaled down a bit in size and price. 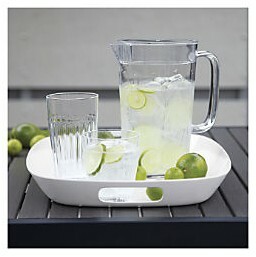 Serving tray, classy and yet very practical. Come summer, my husband and I eat a lot of our dinners on the deck. A tray comes in handy while serving up outdoors. Soooooo pretty. You have great taste. Can’t wait until we have a house and deck to decorate! We have a crate and barrel outlet where we live, I’ll have to check it out. Enjoy the long weekend.